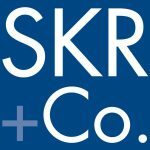 Stockman Kast Ryan + Co. LLP is a Certified Public Accounting firm in southern Colorado. They offer a wide variety of tax, audit, and consulting services to individuals and businesses throughout the region. They also provide other services like bookkeeping, business valuation, litigation support, estate and trust services, as well as QuickBooks support. Work For Stockman Kast Ryan + Co. LLP? Claim This Page.